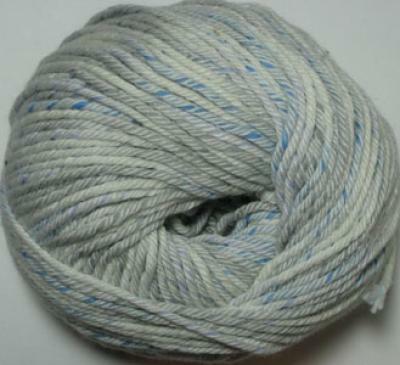 1.75-oz (50-gram) balls of Plymouth Sundae Swirl yarn. Each ball contains approximately 93 yards. The popular Sundae Swirl has colored plies wrapping their way around a center ply of color. The lovely colors are suitable for scarves, hats, sweaters, ponchos, and vests for both children and adults. 78% Cotton, 22% Nylon. 16 stitches= 4" on US size 8 knitting needles.